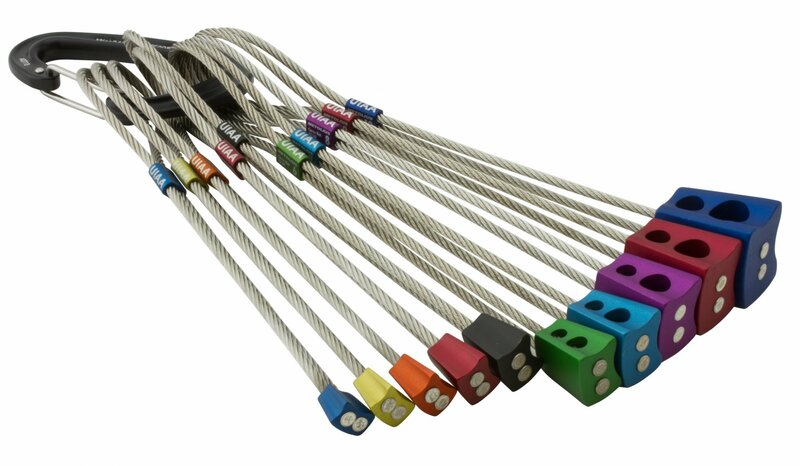 By attaching the cable directly to the nut and eliminating the swage we have made these 30% lighter than the competition. The anodized heads and collars are color-coded to match our cam colors. They combines the stability of 3-point contact with the ease of a straight-sided taper nut. Side-to-side curve for greater stability in flaring placements and straight-sided taper makes it easy to judge placement quality. Light Blue 0.70 - 0.88"
Light Purple 0.79 - 0.98"
Dark Blue 0.98 - 1.20"